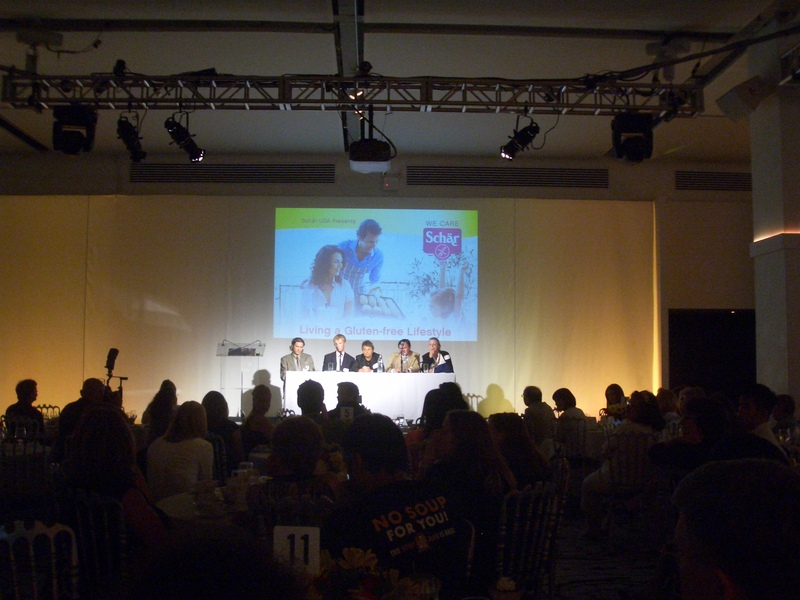 Last week I was invited to attend an amazing gluten-free luncheon and press event hosted by Schar USA. 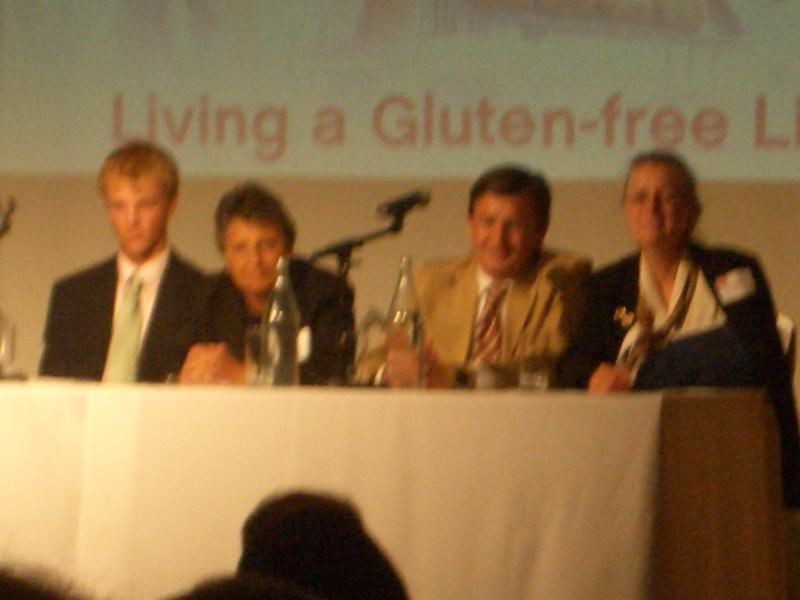 The event featured an elegant multi-course, gluten-free meal prepared by renowned chef, Jason Munger, as well as presentations by some of the foremost authorities on Celiac Disease in the world, including Dr. Alessio Fasan, Director at the Center for Celiac Research at the University of Maryland. The event was incredibly informational and delicious. We were served tapenade, baba ghanoush, pesto, cucumber dill and roasted artichokes with Shar Pizza Crusts, Baguettes, Crisp Breads and Crackers. Here I am with the Schar representative, Criselda. Our first course was Baby Arugula Salad, which was followed by a choice of Herb Crusted Fluke with Fusili or Stuffed Chicken over Penne for our main dish. And, of course…save the best for last…dessert was assorted Schar cookies and tiramisu. All Gluten-Free and all delicious. 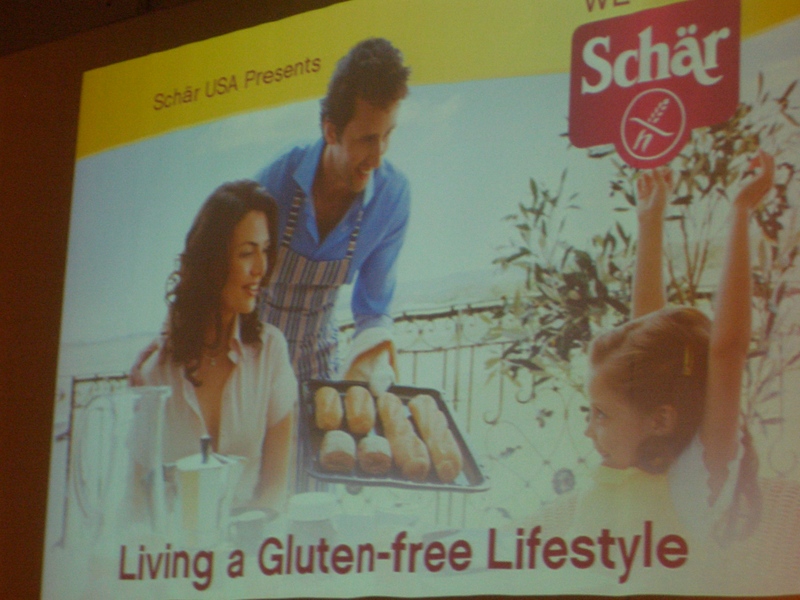 Schar’s featured presenters were incredible and included the CEO of Schar USA and many other well known doctors and dietitians who educated the audience on Celiac Disease and Schar’s dedication to developing healthy, tasty and nutritionally balanced gluten-free products. Shar is the #1 Gluten-Free brand in Europe and now they’re excited to bring their fine line of products to the United States. Thank you, Schar for inviting me to such a wonderful event. Have you ever tried Schar products? If so, what did you think of them? I’m happy to announce that one lucky reader will win a Schar Gluten-Free package filled with a wide variety of Schar products. 1). View the Schar website and tell me what gluten-ree product you’d like to try. Good Luck; I will be picking a winner on Thursday, July the 29th at 5PM EST. I’d love to try that gluten-free fusili they offer with some fresh veggies and a lotta pesto!! Wow, I’m always excited to find out about a new brand – I haven’t heard of Schar before. I think my first choice would be to buy some of their bread – I’m always on the look-out for a good gf bread (my homemade gf bread isn’t up to snuff yet). Pasta would probably be the next thing I would try – particularly the fusilli. Right now my goal is to find a gf pasta that my hubby will happily eat. I would love to try their classic white rolls. Cool – I have not seen this brand yet. I think either the pizza crust or one of the crackers. I have a tweet scheduled for 4:15 pm CST. i would love to try the gluten free snack crackers! I’d love to try the Multigrain Penne Rigate 🙂 *Thanks* for the giveaway! I linked you in my post!